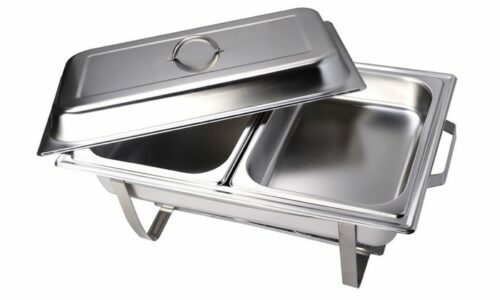 Our solid stainless steel rectangular or round chafing dishes come as a set complete with stand, fuel, water pan and lid. Inserts are ordered separately with your choice of divided or single dish inserts in two different depths. 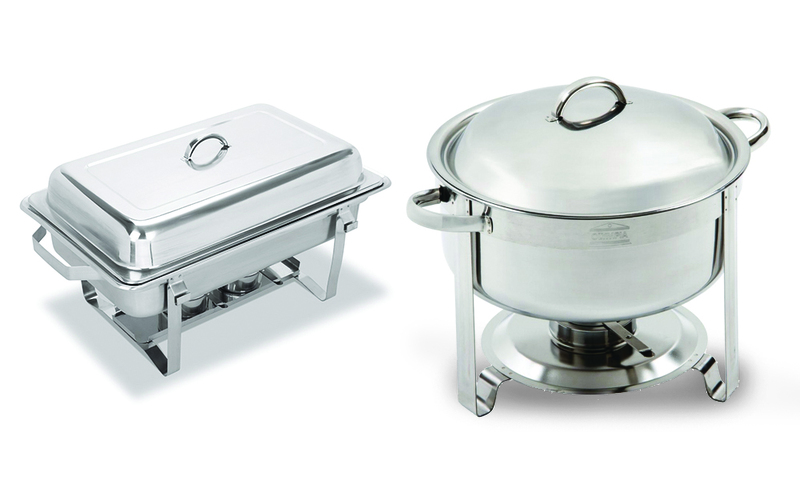 We also offer a round chafing dish set as well as additional fuel for purchase.